This is one of those books that will most likely never be read by the people who most need to read it. Luna Lindsey is a former Mormon who writes science fiction. She grew up in the LDS church, divorced, raised a son, and left the church in her late twenties. That story is in itself not unusual. Nor is it unusual that a former Mormon would write a book about Mormonism – with the present-day ease of getting a book into print there are hundreds of exmormon exit stories. But this book is not an exit story. Instead, the author writes about the psychological problems when one tries to leave a culture and belief system that promises “free agency,” but effectively prevents adherents from actually using it. Thus, the title: “Recovering Agency.” The purpose of the book is to help people regain the freedom of choice which they unwittingly have lost. Lindsey has gathered together from dozens of sources a compendium of the techniques used by most organizations (usually religious, but also political) which tend to take over control of more and more aspects of members’ lives. She describes the methods such organizations use to attract new converts, and how the convert gradually becomes more and more enmeshed in the work of furthering the organization’s goals, and gives up more and more of her individuality and freedom in doing so. She has gathered here thousands of quotes from psychiatrists and sociologists who are experts in the field of mind control, as well as reports by former members of such organizations: Unification Church (“Moonies”), Branch Davidians (the Waco cult), People’s Temple (the Jonestown suicides), the Spiritual Rights Foundation (a California Christian cult), the Heavens Gate cult (which committed group suicide to ride a comet to heaven) and, yes, the Church of Jesus Christ of Latter-day Saints. “But those other groups were teaching false doctrine!” you may say. 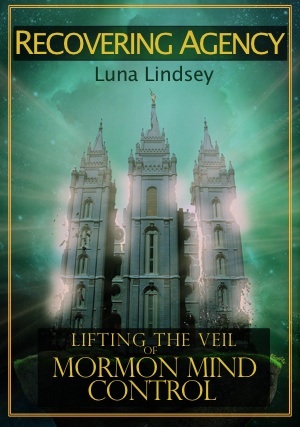 “We Mormons have the Truth, the Only True Church on the face of the earth!” One of the important points Lindsey (and the authorities that she cites) makes is that ALL of those “cults” claimed to be the only source of truth, and their adherents also firmly testified of the miraculous evidence that confirmed their belief. Another important point made by Lindsey and the experts she cites is that the actual content of the doctrines of mind-control organizations are generally irrelevant to the emotional damage which many of their members suffer. It is rather the methods used to recruit and hold members, and the psychological control that they exert on members. This book is not the first attempt to deal with the psychological problems of the devout Mormon. Blair Watson published his essay “The Psychological Effects of Mormonism” several years ago ( http://members.shaw.ca/blair_watson ). Marion Stricker wrote “The Pattern of the Double Bind in Mormonism,” appearing first online and later in an expanded book version. But Lindsey’s effort is broader. She relies much more extensively than Watson on similarities with other mind-controlling organizations, and a broader base of experts in psychology and sociology. She also writes more broadly than Stricker, who limited herself to the “double bind” problem. Lindsey spends three chapters on the double bind, but also deals with many more problems and techniques. The chapter headings indicate the scope of treatment: Cognitive Dissonance, Commitment, Obedience to Authority, Mirror Neurons, Love Bombing, Sacred Science, Mystical Manipulation, Milieu Control, Loading the Language, Thought-terminating Cliches, Black and White Thinking, Indirect Directives, Emotion Over Intellect, Guilt and Shame, and many others. In each topic, the author quotes statements from leaders of cult-like organizations, statements by LDS general authorities, comments from former cult members and from former Mormons, and analyses by experts in the study of mind control. The juxtaposition is powerful. The author’s intended audience includes devout Mormons and Mormons who are feeling doubts or unhappiness in Mormonism. Her intent is to help especially those Saints who are hesitant about doubting, by showing them what may be the source of their discomfort. One of the aspects of mind-control is that one subject to it is not aware of it. Cult members universally deny that they are in a cult. Those who have fallen victim most thoroughly to the manipulation of group leaders continue to insist that they are really free to do as they wish, even as their every motion and choice in life is made in obedience to the leaders. Another intended audience is the non-Mormon reader. For their benefit, the author tries to explain peculiar Mormon terminology and customs. She is not always consistent in this. Frequently she will use a term or mention a name which any Mormon or ex-Mormon would recognize, but would leave a non-Mormon puzzled. This is not a problem for a Mormon reader, of course. Sometimes a reader might also be confused as to whether it is the author speaking for herself, or whether she is paraphrasing a Mormon voice. Generally, however, she leaves her most personal comments to the end of the chapter, when she offers suggestions to her Mormon readers about how to process that chapter’s information. But if any Mormon, especially one in church leadership, is secure enough in his faith to read this book, there will be benefits, even though the reader retains his faith. He will recognize more clearly what is going on, he will be more aware of the subtle techniques influencing him, just as it benefits any consumer to be knowledgeable about the techniques used by advertisers to increase their sales. To that extent, a reader of this book will indeed recover more of his agency than he had before. This review originally appeared on the Association of Mormon Letter’s (AML) Discussion Board on August 31, 2014. Beggar’s Bread wishes to express it’s appreciation to Mr. Packham and AML for allowing us to republish it.